Winter 1999: Grace Bradley, 98, one-time housemaid of Riverton Manor, is visited by a young director making a film about the poet's suicide. Ghosts awaken and memories, long consigned to the dark reaches of Grace's mind, begin to sneak back through the cracks. A shocking secret threatens to emerge; something history has forgotten but Grace never could. 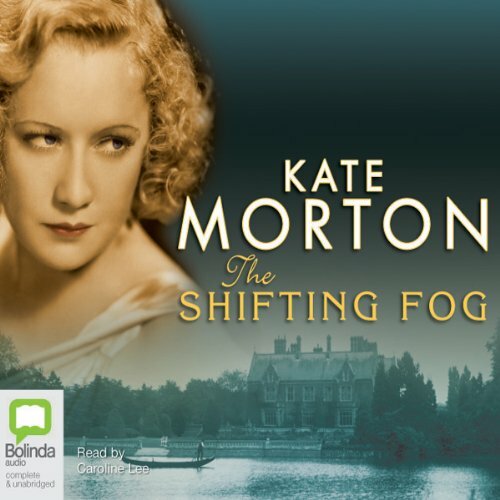 Set as the war-shattered Edwardian summer surrenders to the decadent 20s, The Shifting Fog is a thrilling mystery and a compelling love story. An alternate title for this novel is The House at Riverton. Where does The Shifting Fog rank among all the audiobooks you’ve listened to so far? Unfortunately hadn't realized "The Shifting Fog" is the same / alternate title for "The House at Riverton." Great book / wonderful narration but wish Audible had indicated that I had already purchased the same book under an alternate title. Just what I needed after Downton Abbey. .. This was a great British mystery after watching Downton Abbey and being very disappointed that it ended. I enjoyed the story completely and wish this author had more books, I've read them all so far. I've listened to all of her books on audible and this was my second favorite, though a little more dark than the rest. My Favorite Book by Kate Morton! What did you love best about The Shifting Fog? The story of the past ... a past painstakingly researched and communicated to us in such beautiful words and organization. This is a story of being human and how our choices can lead to unintended results. I hated to have it end. 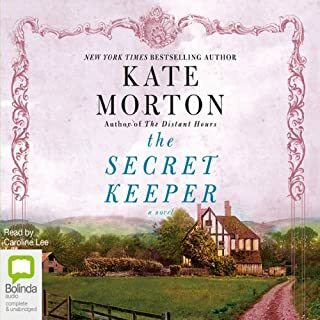 This is my favorite Kate Morton story ... Grace is my favorite character to date...and I have read all Kate's stories. I can't wait till a new one is available. The character of Grace. She was so developed and believable as she told this story. You feel as if you know her and hate to see the story end. Also, how Kate Morton builds the story and tells it. She is a magnificent storyteller. Yes, she is detailed and sets each scene so carefully ... it's why you become so involved with her characters and understand them. I love history, and she gives us historical background so well. I love the way she reads the story. I like her accents. I could listen to her forever and never get tired of her voice. Absolutely. I just never have the time to do so. Read this book ... if you liked Kate Morton's other stories, I think you will love this one. What other book might you compare The Shifting Fog to and why? If you could take any character from The Shifting Fog out to dinner, who would it be and why? Interestingly, The House at Riverton is EXACTLY the same book - just a different title. I love long, wandering stories that are well-read. Caroline Lee is wonderful, and the story is very nice. 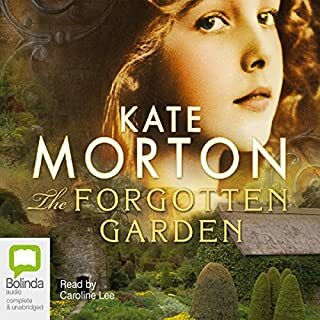 This is my second Kate Morton book, both having been read by Caroline Lee. Even though they are long, it's always sad when they end. This is an enjoyable listen . . . but doesn't come close to The Secret Keeper and The Forgotten Garden, in my opinion. I got tired listening, but did stick with it until the end. I enjoyed the historical aspect of the WWI era in England, but the book could have been much shorter and been better. 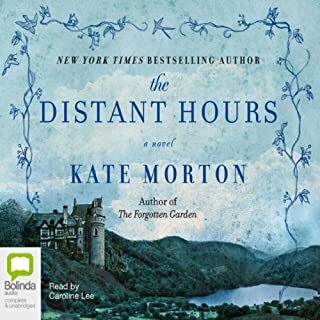 The Shifting Fog lacked the magical qualities of Kate Morton's other books and I missed the unfolding mystery of the other two books that I've listened to. The ending didn't leave me nearly as satisfied either. I loved the story within the story. The Shifting Fog tells the story of a Manor House in Essex during WW1 in the early 1920's, told from the perspective of Grace Bradley, a housemaid, now 98 and living in a retirement community in 1999. When Grace finds out that a film is being made of a tragic event at the house - the suicide of a young poet who fought in the war - she recounts her memories leading up to that night, and the part she played in it. Other books that remind me of The Shifting Fog are The Distant Hours, The Forgotten Garden, Duet, The Winter Sea, and The Secret Keeper. Caroline Lee brings a depth to the characters and the story that you just wouldn't experience if you read the book rather than listen to it. Who was the most memorable character of The Shifting Fog and why? I thought Hannah was the most memorable character in this book because she had all the wonderful tragic flaws you end up loving about them. This is the same story as The House at Riverton, just a different title. One of Kate Morton's best! Like some of the other reviews, it took me a couple of tries to get into this book. Jumping back and forth from the past to the present was a little confusing. However, it didn't take long before I was hooked. Great story! I didn't like the narrators Australian accent she tried to do upper class British & working class accents & it just didn't work so spoiled the book for me. Her story telling & pace were fine, the accent was just so wrong for such a British book. What was most disappointing about Kate Morton’s story? The first part of the story set in a large country house was interesting and kept me listening. However once the story moved to London the bordom set in and by the end I really hoped all the characters met an unpleasant painful death. The description of life below stairs pre 1914. The most boring book I have ever listened to. The narrators Australian accent seems out of place telling the story of an English tragedy. At first this grated with me, but after a while it was pleasant. Although I have to say that the narrators impression of an Irish accent was probably the worst I’ve ever heard! Overall, an interesting glimpse into social history at the time of the First World War and its affects on Edwardian Britain. Not Kate's best work but still good and a good twist at the end but I was wondering for ages where it was all actually going. You can always depend on a Kate Morton book for a riveting tale. Most enjoyable! Totally love Kate Morton, but this really isn't her best. Sorry, wanted to love it but it fell very short. Love Morton's stories, this one is no exception, well researched and gets the mood so right. You feel like you are watching all as it unfolds. This took me through the period and events of the time effortlessly. Loved it a lot . Good story well read. Characters well interpreted. Like this authors books. will be looking out for more of same. This book kept me interested to the very end. Beautifully written and read. Set in the early 20th century, but told by Grace looking back at the end of her life to the events that changed the world forever. The story is fiction but the settings and background are historical fact. Thank you so much and can't wait for more. I just couldn’t persevere past the 5 hour mark, very disappointing considering ‘the secret garden’. 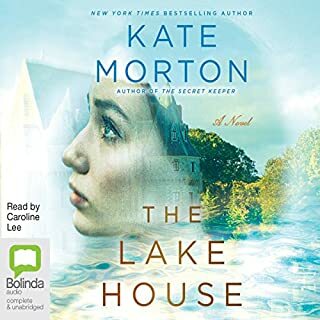 ‘The lake house’ & ‘the secret keeper’ were amazing books by Kate Morton! 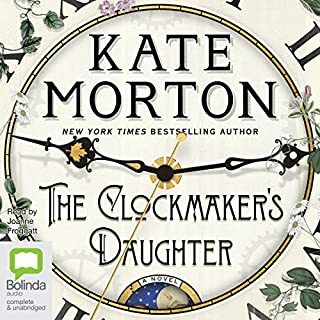 Although I enjoyed The Shifting Fog, I prefer the other books I have read by Kate Morton, which are, in my opinion, more riveting and full of suspense. I found the fact, that when reading, no mention was made of the end of a chapter, and this made it difficult to read a chapter at a time. This book would appeal to anyone who is interested in life at the beginning of the 20th century; the background and characters are believable and well delineated. An enjoyable read! 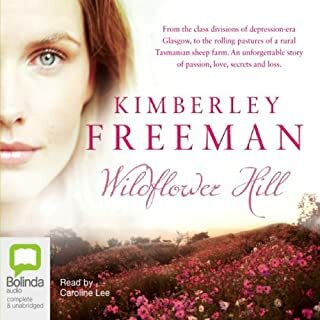 I enjoyed listening to this audio book, I have read the hard copy of Riverton house and thought that this was a different book. I admit that I didn't read all the details and later realised that this book is the same but with a different title. Why would it have multiple titles? I think that this is misleading. But I learned my lesson. Enthralling and utterly captivating in every sense. Thank you Kate for another brilliant novel and to Caroline for bringing this magical piece to life.